Rev. 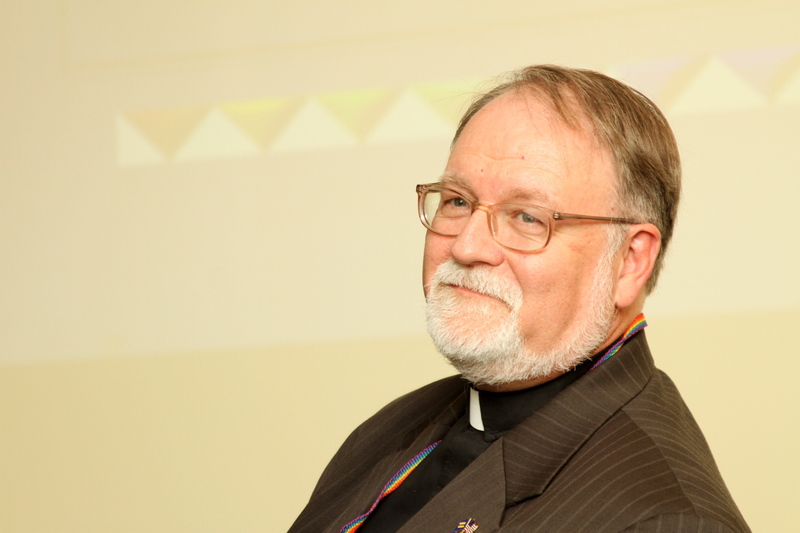 Dr. Stephen Sprinkle of Brite Divinity School is a trusted colleague in our work for justice and equality at the Human Rights Campaign Foundation. His project, Unfinished Lives, is the most important one of which I am aware seeking to illuminate the lives and struggles faced by gender-variant and transgender people in the United States. No work could be more important as it seeks greater understanding of several connecting issues that haunt our society — fear of gender, sexuality, and gender variance and violence fueled by fear and the very real sense that that violence is condoned by the culture and community. It is my hope that you will favorably consider a request by Rev. Dr. Sprinkle for support for Unfinished Lives. My husband and I have made a personal contribution and have urged our friends to do so as well. In addition, it is my plan to leverage the considerable ability of the Human Rights Campaign Foundation’s Religion and Faith Program, of which I am the director, to promote the book that will be a product of the study and Rev. Dr. Sprinkle as a speaker/lecturer upon the project’s completion. The HRC Religion and Faith Program has had great success with such promotion. Our Religion Council, 12 diverse faith leaders throughout the country, reached more than 20 million Americans each month over the last two years through our promotional efforts. And a non-Council member, Rev. Dr. Jack Rogers, reached 2 million Midwesterners in 2007 through a book tour we co-sponsored with our collegial partners at Covenant Network Presbyterians. I look forward to doing all I can to let the world hear Rev. Dr. Sprinkle’s winsome voice telling one of the most powerful stories abroad in the land. I hope you will join us in this effort to make America and the world safer and saner. Stephen Sprinkle has captured the heinous realities of hate crimes against sexual minorities, a pandemic of bloodshed he sees sweeping across America like a “rolling holocaust.” Unfinished lives are the tragic and heartrending consequences of bigotry, inflammatory rhetoric and unmitigated violence. Here, Sprinkle tells the victims’ stories, breaking the secrecy and silence that shrouds the truth of their lives, and the horror of their deaths. This book is a must-read for anyone interested in civil rights, criminal justice, the pathology of hate, and the strength of the family in overcoming personal atrocity. Sprinkle eloquently speaks for those who can no longer speak for themselves, and we are compelled to listen. For their sake, for the sake of shattered families and grieving friends, and for the sake of all that is decent and moral in civil society, we can finally hear their stories, honor their lives, and take steps to stop the hate and violence. I am writing to commend – in the highest possible terms – Dr. Stephen Sprinkle and his “Unfinished Lives” project. My support springs from the conviction that his work calling attention to the “slow-rolling holocaust” of LGBT hate crimes in this country has a particular urgency in the struggle for civil rights in contemporary America. As society and the media turn a blind eye, someone must tell these stories. And no one can tell a story like Steve. I have personally witnessed Steve stand before a roomful of people and share his research, and it is one of the most powerful presentations I have ever seen. Whenever Steve shares these tragic, but meaningful stories, hearts and minds are changed – and the march toward justice for all people takes a small step forward. The organization I work for – the Texas Freedom Network – has a history of organizing people of faith to confront hatred and intolerance in our state government. We support Steve’s work because this project fills a desperate need for credible hate crimes research, without which we cannot hope to convince lawmakers to pursue a fair, compassionate public policy in our state. Steve is not only a respected and accomplished scholar, he has proven to be an invaluable colleague in the fight for human rights in our state. Anyone who shares that cause should support his work. I am proud to say that I have known Dr. Steve Sprinkle, from my teenage years. He was a powerful influence in my spiritual life. He impacted my life in Church Camps, as a College professor, his sponsored lectureships, his national leadership, and most of all his personal friendship. I look at Steve as a mentor and leader, and a lover of all people. It is interesting that our lives and the journeys have passed through the same dark tunnels, in many ways and along the cross roads, we road the same train, yet we did not know of the other’s presence at the time. Now we are on the other side of those tunnels, standing tall, boldly facing what used to be fears, but are now our reasons to live. Steve Thank you so much for creating this project to keep us up to date with what is happing in the GLBT community.